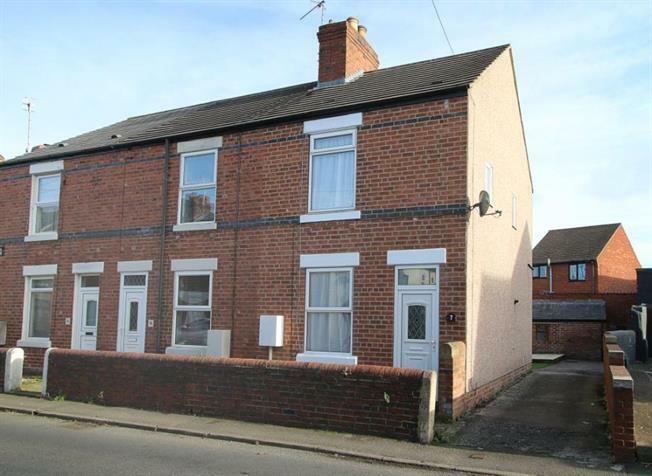 2 Bedroom End of Terrace House For Sale in Chesterfield for Guide Price £120,000. Positioned in the popular residential location of Brampton is this two bedroom end of terrace offered for sale with the benefit of having no onward chain involved. The accommodation briefly comprises: lounge, attractive fitted kitchen, first floor landing, two bedrooms and bathroom. Outside, to the rear of the property is an attractively presented rear garden. An internal inspection is highly recommended to appreciate the accommodation on offer. Brampton is a sought after location to the west of Chesterfield having its own shops and boutiques along Chatsworth Road which has resulted in the area has becoming well known for its plethora of independent shops along Chatsworth Road. A number of new retail developments have sprung up alongside well-established traditional family businesses. The area has been loosely compared to Ecclesall Road in Sheffield. A festival celebrating the local community and small businesses on and around Chatsworth Road is held in October. The Peak District and Chatsworth House is only a few minutes away by car and the local schools are most highly regarded. Somersall Park and Holmebrook Valley Park are within easy dog walking distance with the town centre being accessible by regular bus services or a short walk away.